At Demio, we’ve always said our real customer is actually the attendee. The better experience we give your attendees, the more engaged they’ll be, the longer they’ll stay, and the more often they’ll come back, which ultimately means better results for you, the real customer. 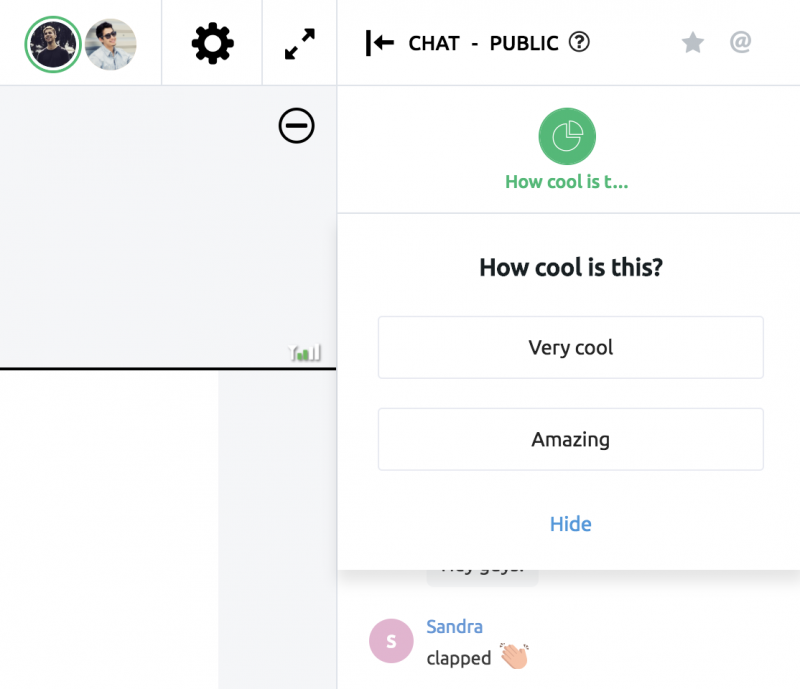 With that mission in mind since the very beginning, we’re extremely excited to announce one of our biggest updates ever, including a new look, chat mentions, gestures, resources built into the chat, an improved backstage area, and more. We started by giving the existing room interface a complete makeover. As always, we kept our focus on clarity and simplicity, while also giving you a consistent brand experience. We chose white and black as the main colors in order to match any custom branding (logo) that’s applied to the webinar room. 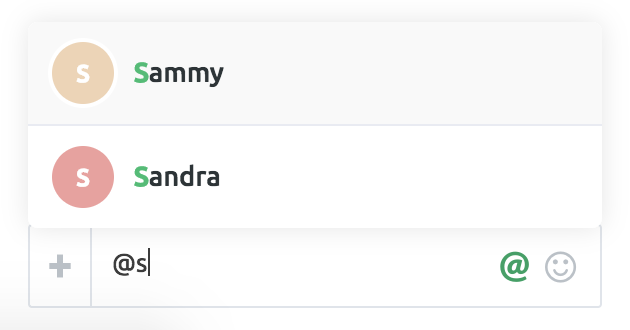 Attendees in the chat are now assigned a color and the first letter from their name so you can identify them in the chat, even if they don’t have a public profile picture. 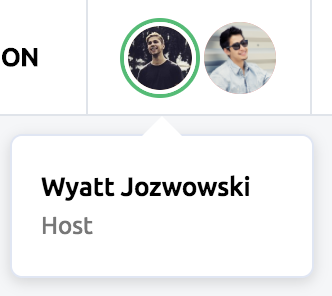 All admins and presenters are now featured at the top of the room, so your attendees can see who they’re listening to. 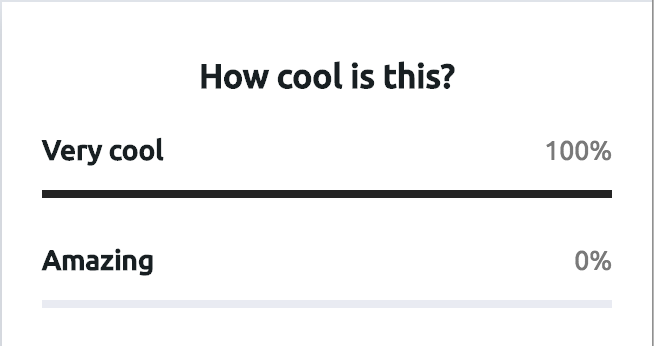 These icons are interactive on hover, and they visually represent the presenter’s microphone levels. 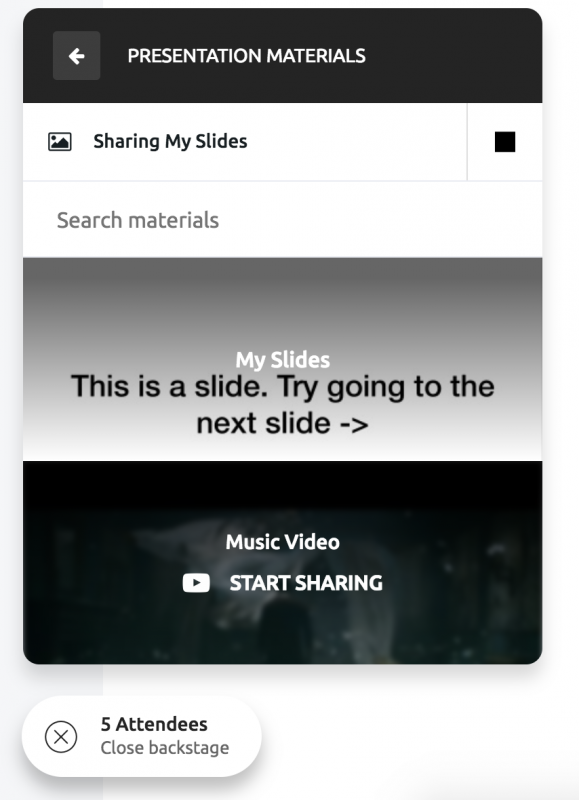 There are also smaller improvements in the interface, such as better navigational controls for slides, a new animation to represent that you’re broadcasting, and fewer options in the top menu bar. This is where things get powerful. 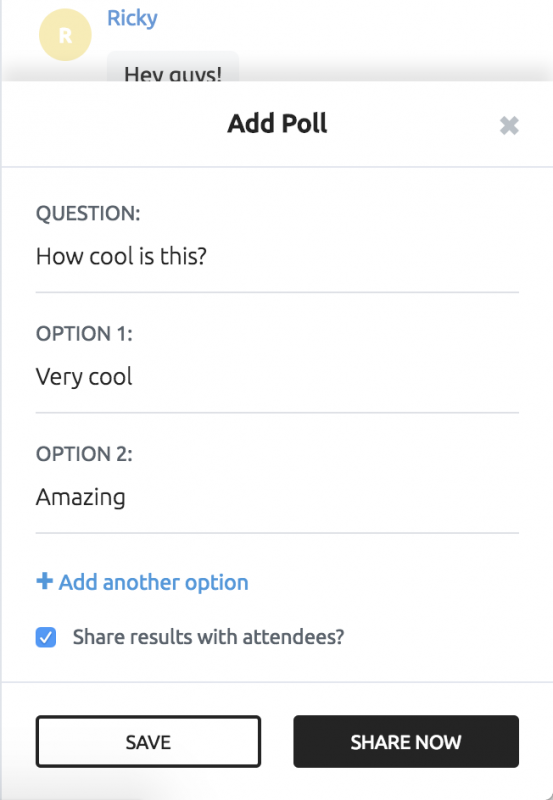 We completely reimagined the chat in order to increase interaction with your attendees. 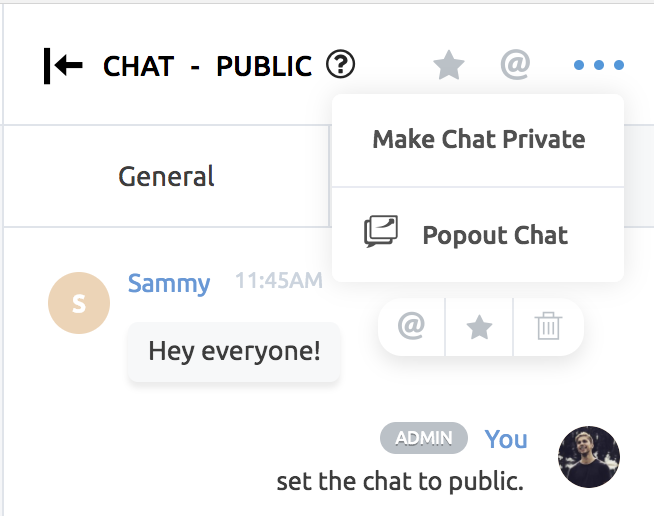 Now you can switch to Private when you want your attendees to focus on the content and switch to Public when you wish to start a conversation, answer questions, or allow your attendees to engage with each other. 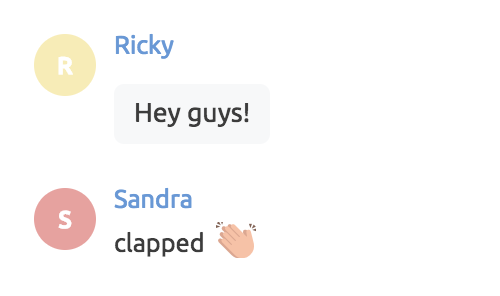 We also implemented mentions so you and your attendees can now @ tag other participants in the chat. To allow your attendees multiple ways to interact, we created Gestures. 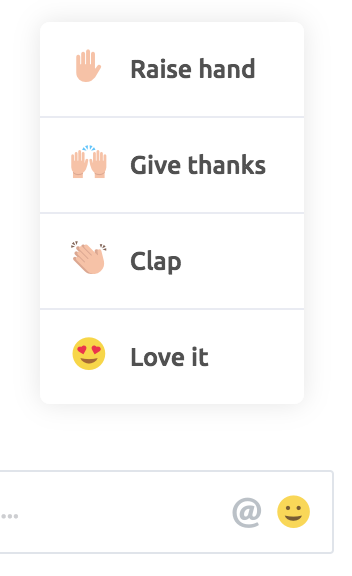 Gestures on Demio are fun, 1-click interactions to show love, give thanks, clap, or raise hands. To keep your momentum while you’re presenting, you can also click on participants right from within the chat box to open up their Card. 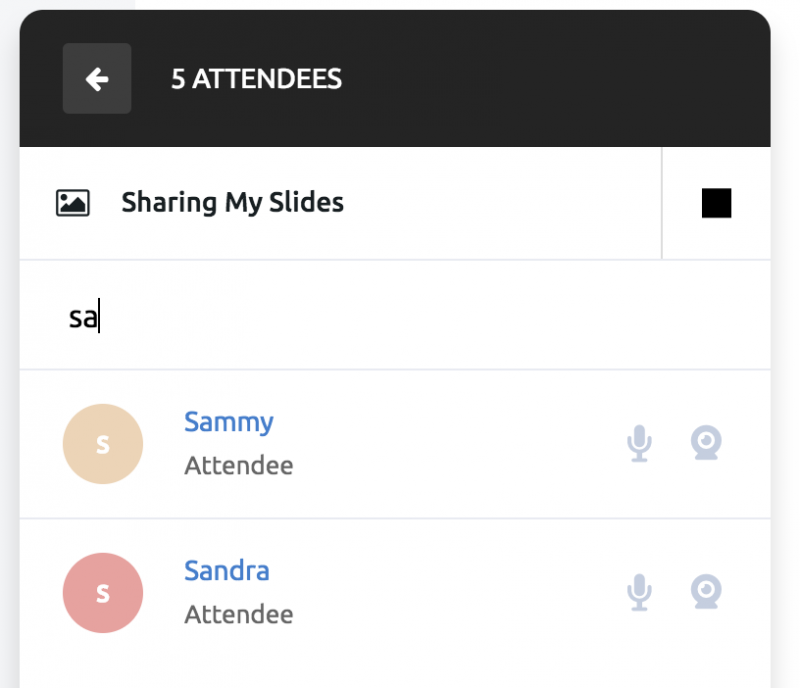 This is a much more efficient way to pass controls to an attendee or to ban someone from a webinar, instead of trying to find them in a long list of attendees. And, finally, when you hover over a message, you’ll see options to @ reply, favorite the message, or delete it from the chat completely. At any point during the session, you can filter your chat to show only favorited messages or mentions. This is great for saving questions until the end of the event you favorited earlier. 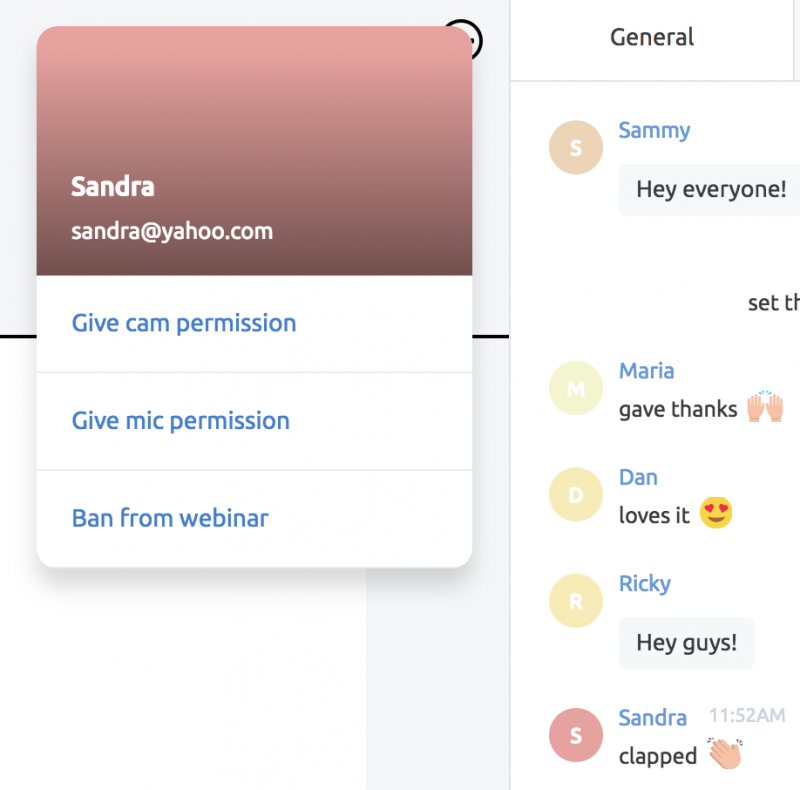 In an effort to simplify and keep interaction focused in one area, we removed the My Channel area and built everything into the all-new chat box. 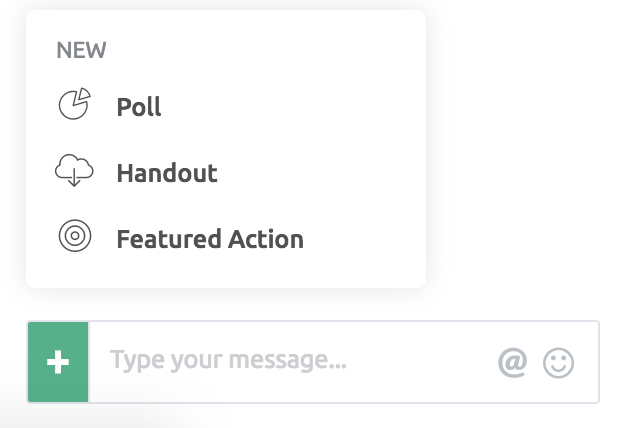 You can now do things like launch Polls, share Handouts, and display Featured Actions right from within the chat. 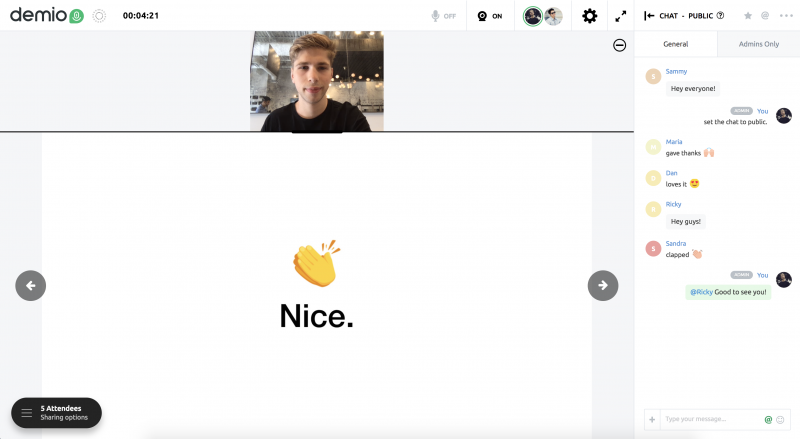 And they’ll display as interactive pins at the top of your attendees’ chat boxes. And, of course, real-time stats, which you can keep private or share with the attendees for increased social proof. 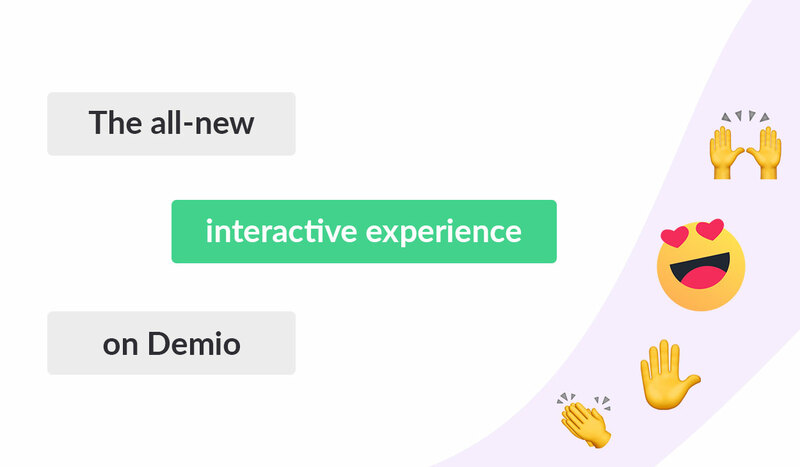 As you launch new resources such as a Featured Action, the icons will always sit at the top of the chat, so your attendees can access them at any time. Every time you share a Resource, it will be saved in the chat timeline, which any participant can click on to access the resource again. This update wouldn’t be complete without an update for presenters. Until today, the Backstage area (a place to moderate your event) filled the entire screen when open. We’ve rebuilt the Backstage area from scratch to be more innovative as well as take up less space. It will sit as a black widget on the bottom of all Admins’ screens. And you can click it at any time to expand the window. 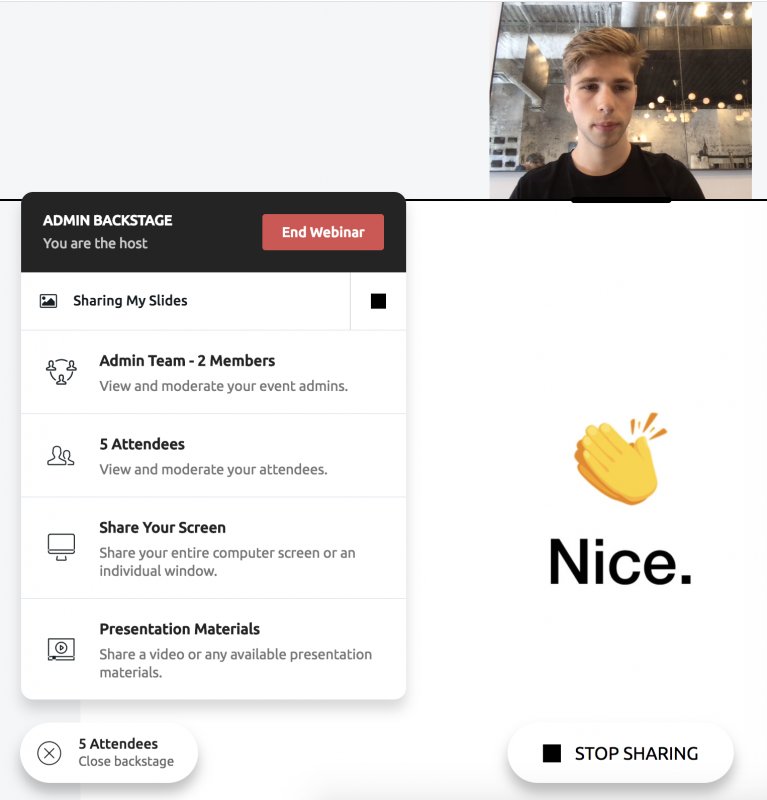 So, you can now do things like moderate your admins, view your attendees, share your screen, or share presentation material without disrupting your presentation. Or, if you want to find an attendee, you can even search from the list. We think this is going to be a big improvement in experience for you, the presenter, and your team. We put a lot of work into this entirely new room experience. We’re extremely proud of how the product has evolved since the initial launch, but it’s truly only the beginning for our product. Demio is not just another webinar platform; it is an engagement marketing platform that lets you turn live conversations into valuable data to drive company growth. That’s our mission. Throughout the rest of 2018, you’re going to see us rolling out more updates like this one. We’re working around the clock to create the absolute best way for you to connect with your prospects, customers, and audience. 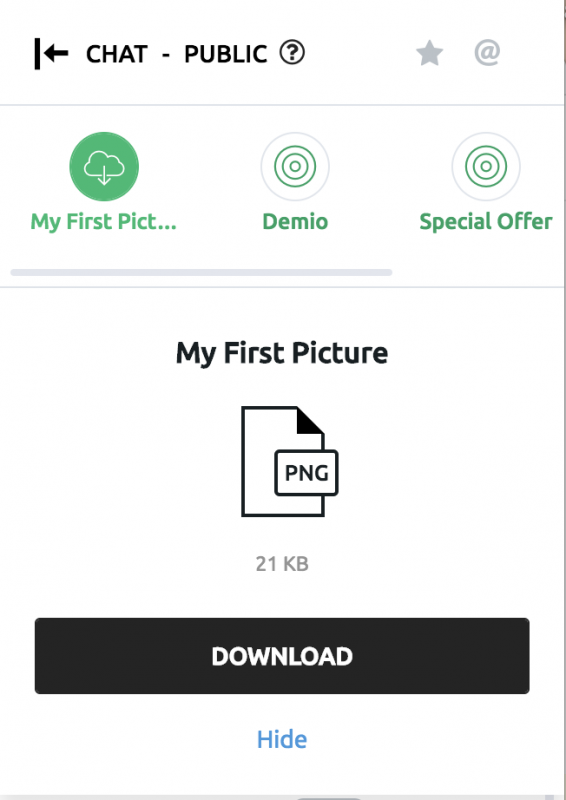 We’ve already begun work on the next evolution of Demio, and it’s incredibly exciting. GDPR is coming 😱 What is Demio doing to prepare?